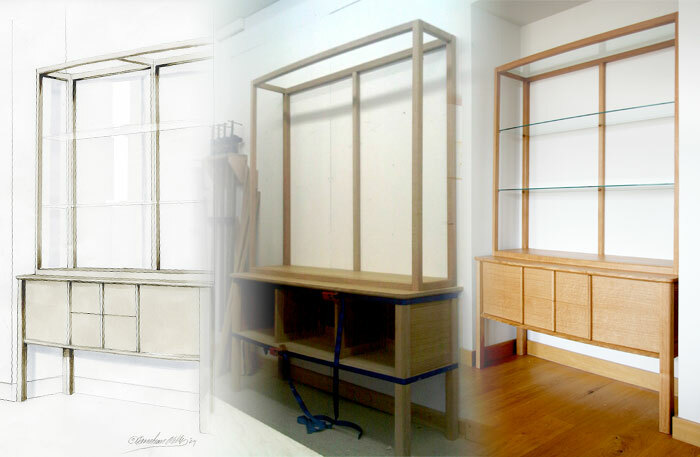 Our furniture is made to order so measurements, material and details of existing designs can be tweaked to suit you. You can also commission a bespoke piece to fit your space, needs and budget. It does not matter if you do not know exactly what you want. As a designer, my role is to interpret your ideas, requirements, likes and dislikes, however vague, into a design and ultimately furniture. We will then chat about the designs and I can make changes if necessary. When you are happy to proceed, I will book your furniture into our workshop schedule if you send me an initial deposit (usually around 50% of the cost). If you are interested, I will send you updates and photos showing your furniture being made, so you feel involved in the whole story. You are also welcome to visit the workshop to see the work in progress. When completed, I will deliver your furniture to you at a time that suits you.